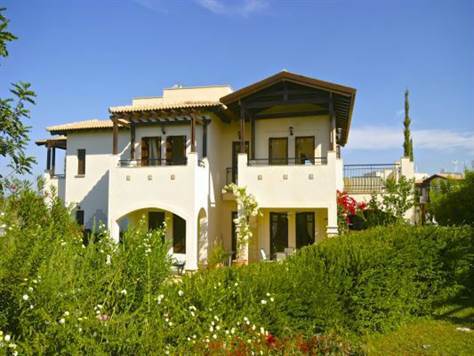 Aphrodite Hills, Anarita Valley - This is an exceptional first floor, one bedroom apartment with en-suite. It is located in Helios Heights Village - Western Plateau. It has panoramic views overlooking the golf academy to the sea. It also has the benefit of being close to the communal pool without being right over it. It has been beautifully maintained and decorated and has tasteful, modern furnishings. With a well proportioned living area and three good sized balconies, this is an ideal apartment for holidays or permanent living.